In North Carolina alone, the American Cancer Society estimates that nearly 8,000 people will be diagnosed with lung or bronchus cancer this year. 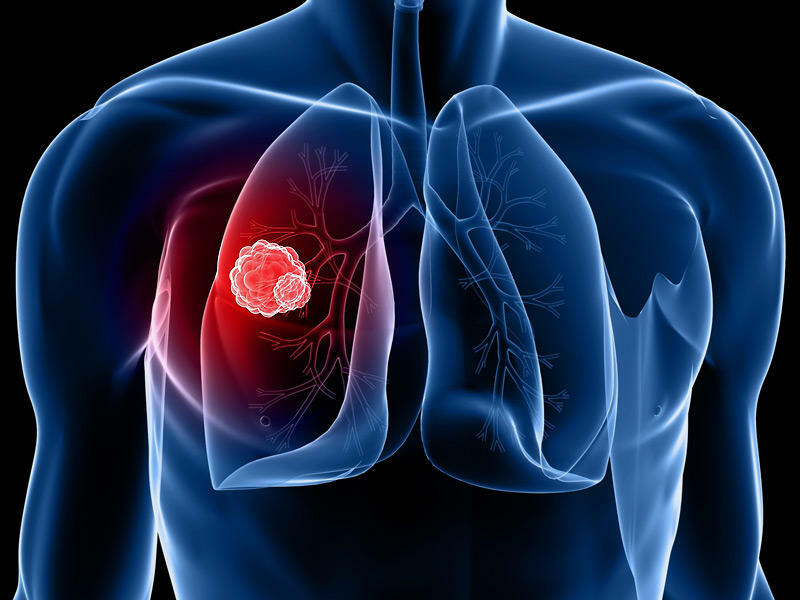 East Carolina University Brody School of Medicine Minimally Invasive Thoracic Surgery Director Doctor Carlos Anciano says that lung cancer is decimating our population. As an ECU physician, Doctor Anciano also works closely with Vidant Medical Center in Greenville. His colleague at Vidant, Doctor Mark Bowling, says they see a particularly high incidence of new lung cancer cases in the region than compared to the national average. Dr. Mark Bowling is also the Interventional Pulmonology Director at East Carolina University Brody School of Medicine. He went on to say that despite this overwhelming lung cancer data, the problem boils down to the individual. Vidant Medical Center is currently the only hospital in the world using the new lung-biopsy tool called the CrossCountry. Medtronic, an internationally known medical technology company, selected Vidant to be the first to use this device because of their state-of-the-art hybrid operating rooms and the growing number of lung cancer cases in the region. In a traditional lung examination, a doctor inserts a tube through a patient’s nose or mouth to examine the airway. It’s a common and effective way to investigate lung abnormalities, but Dr. Anciano says it is limited in that it can only reach the most central airway of the lung. A Bronchoscope can only reach the main airway, but now the CrossCountry device allows access to microscopic portions of the lung. Along with a system that has GPS like qualities, doctors can guide a scope through the tiny airways to get a closer look at the tumor. 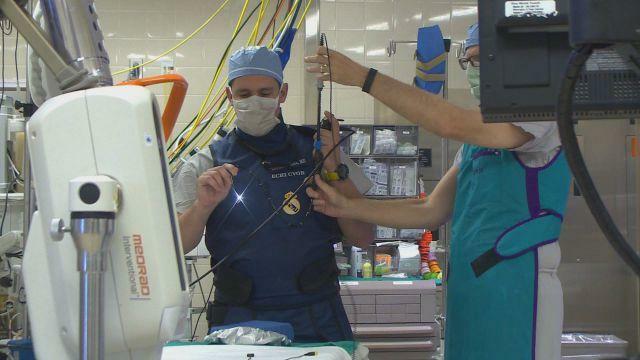 Doctors say this new device prevents patients from having to undergo invasive surgical procedures. During the CrossCountry procedure, they are able to biopsy – remove a tissue sample – from a lung mass far removed from the patient’s central airway. This allows the doctors to provide a more accurate diagnosis without cutting into the patient. Dr. Bowling says the CrossCountry device can now help lung-cancer patients avoid complex surgeries and long hospital stays. The CrossCountry device is FDA approved and is considered a stepping stone in less-invasive approaches in the field of lung cancer. It expands the physician’s ability to deploy future markers, dyes or treatments with no more incision or pain to the patient. Doctor Anciano says he is honored to incorporate such a revolutionary tool to manage this relentless disease. This new lung-biopsy procedure is covered by most insurance plans including Medicare. Doctor Bowling says the CrossCountry tool also has the potential, in the near future, to deliver innovative treatments. Experts point out that lung cancer is not always caused by smoking, there are other genetic and environmental factors that may cause this prevalent disease. According to the Centers For Disease Control, people who smoke and who are between 55 and 80 years old should be screened annually.